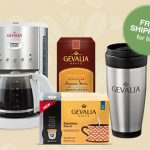 You are here: Home / online shopping / 4 boxes of Gevalia Coffee or Tea and 2 Stainless Steel Travel Mugs for $14.99 shipped! This is such a great deal for people who love tea or coffee! 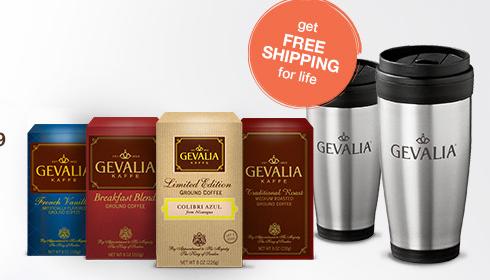 You can get 4 boxes of Gevalia coffee or tea plus 2 stainless steel travel mugs for just $14.99 shipped! 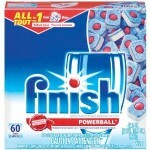 The boxes alone are normally $6.99 each, so it’s like you’re getting 2 free plus the mugs! 3. 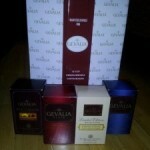 Add your free gifts! 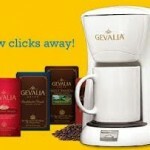 Gevalia Coffeemaker, 2 boxes of Coffee, and travel mug for $14.99 SHIPPED! 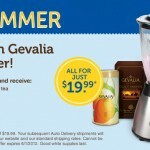 Gevalia: FREE Stainless Steel Blender plus 4 boxes of gourmet Gevalia coffee or tea for $19.99 shipped! 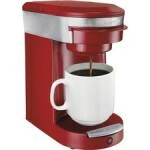 Hamilton Beach Personal Cup Pod Brewer for $13.99!